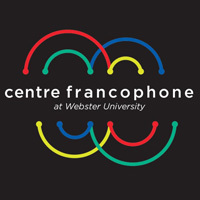 Centre Francophone invites members of the Webster community to a talk by Franco-Algerian filmmaker Rabah Ameur-Zaïmeche on Nov. 7 at noon in the East Academic Building, room 252. The discussion will be in English. Ameur-Zaïmeche will discuss his new film, Histoire de Judas (Story of Judas), which is being presented at the St. Louis International Film Festival, and share his experience growing up in France, his relation to the Biblical text, issues of diversity and the raise of nationalism. Professor Lionel Cuillé will moderate the discussion. Ameur-Zaïmeche’s film, Histoire de Judas (Story of Judas), will be screened at St. Louis International Film Festival (SLIFF) on Sunday, Nov. 6, at 5:15 p.m. at Plaza Frontenac Cinema. Born in Algeria, growing up in the quartier sensible ("rough neighborhood ") of Montfermeil (suburb of Paris) Rabah Ameur-Zaïmeche directed one of the most important films on the challenges of diversity and inclusion in France. Often compared to La Haine (Hate) by Mathieu Kassovitz, his film "Wesh wesh, qu'est-ce qui se passe" received the Prix Delluc in 2001.